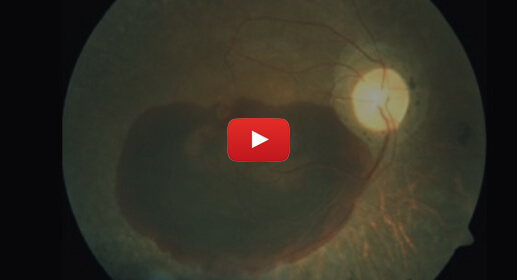 Neoretina has always been at the forefront of social responsibility and has been spearheading several projects for the welfare of the needy in terms of Eye care. 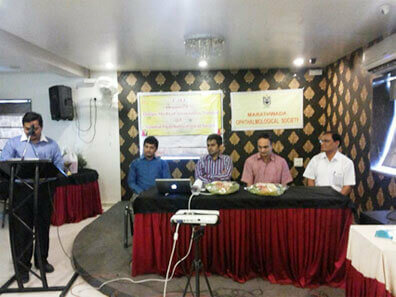 Neoretina conducts regular CME education programs for doctors in collaboration with local ophthalmologic societies in various parts Andhra Pradesh, Telangana, Karnataka and Maharashtra to spread awareness about diseases of Retina and Uvea. The Hospital also conducts monthly diabetic screening camps at the base hospital and periodic regular outstation camps in order to identify and treat diabetic retinopathy early and prevent complications of this disease. 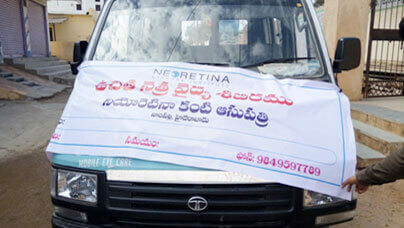 Netra Chakra is a mobile eye care initiative started by Neoretina in 2011. Through this initiative, free eye camps were started in 6 districts of Andhra Pradesh and it was the first time in India that portable retinal camera and angiography unit were being used. 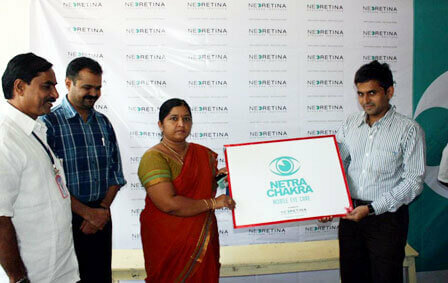 Assistant Collector of Mahbubnagar, Smt Bharathi Lakpathi Naik unveiled the Logo of Netra Chakra, mobile eye care initiative, on17 November 2011. 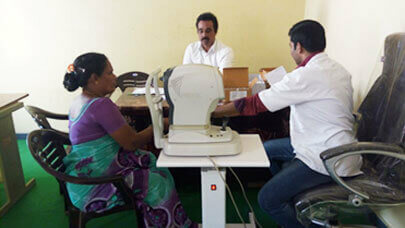 With her is Dr. Raja Rami Reddy, Founder Director, Neoretina Eyecare. On extreme left is popular social reformer Sri. Lion Natraj. 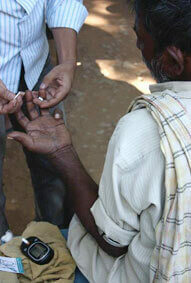 On his left is Dr. Bharadwaj who graciously offered his hospital premises to conduct the camp.